The last 12 months or so have been good to fans of local jazz and its various offshoots. 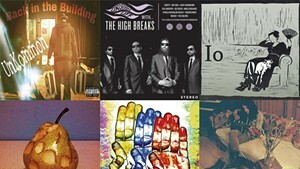 Releases from the likes of Audrey Bernstein and Hot Box Honey, among others, have kept local hepcats swinging and (be)bopping after some lean years for jazz releases in Vermont. 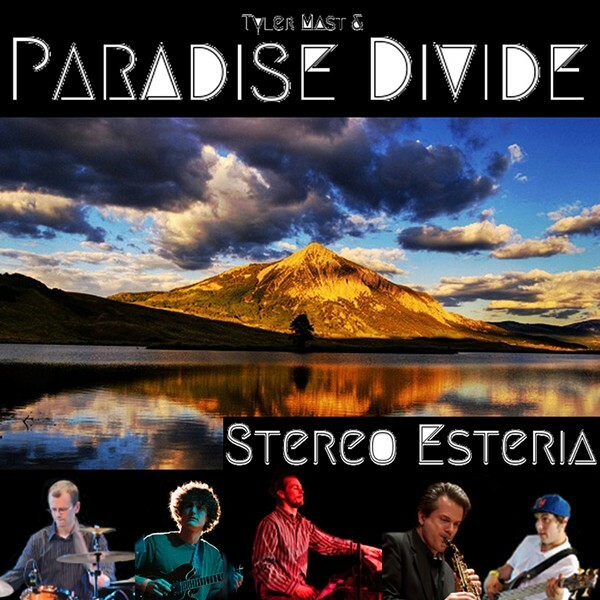 Though Stereo Esteria is really only jazz courtesy of the increasingly liberal definition employed by jazz festivals far and wide, the debut EP from new local ensemble Tyler Mast & Paradise Divide should be cause for celebration among discerning fans. Mast refers to the band's style as "art-groove." But the album contains plenty of jazzy ingenuity. And the band is something of an instrumental supergroup, featuring Eight 02 saxophonist Christopher Peterman, Barika's Caleb Bronz on drums, guitarist Colin Lenox (Barika, Dead Set, ex-Bearquarium), Grundlefunk bassist Matt Davide and Mast (Bearquarium) on keyboards. Much like he did with Bearquarium, ringleader Mast displays and indulges a wide-ranging musical curiosity. Opener "Mad River Stomp" is rhythmically built around a honky-tonk shuffle, gussied up by Mast's fluttering keystrokes, which are partially doubled by Peterman. But when the saxophonist takes the lead, the tune transforms from twangy boogie to slick jazz-funk. That shuffle comes back around as Mast takes the reins on a righteous solo. But Peterman has yet another detour in mind — into an exultant gospel groove. If that sounds sonically schizophrenic, it is. But it works, and it cues the listener into just what kinds of musical chicanery are in store. "Sojourn Falls" is reggae filtered through lounge and exotica and colored by Peterman's airy soprano sax. "Unborn Child" builds around an intricate passage from Mast, propelled by Bronz's insistent beat. Peterman is featured again, softening the song's cruising pace. Lenox joins in with some searing licks of his own, setting up the song's joyous conclusion. The title track is sinfully sensuous at the open. Peterman's sax is mournful and elegiac, framed by delicate cymbal work from Bronz that evokes late-night rain. When the band coalesces around a skeletal reggae groove, the tone turns darker and mysterious, and, after a run of traded solos, builds to a powerful finish. "Cedar Moon" is the album's jazziest cut. It's smooth and slinky, with undulating melodic themes that inspire some of the record's most intriguing solo work from Mast, Peterman and Lenox. Stereo Esteria closes on "Cottonwood Pass," which is constructed atop a devilishly funky meter. It's a full-band showcase, and its members do show off just a touch, indulging in increasingly flashy solos. But, given the tasteful restraint throughout the rest of the record, a little fire in the finale is a welcome touch and a fine cap to a sterling debut. Stereo Esteria by Tyler Mast & Paradise Divide is available at iTunes, Spotify and, for a limited time, as a free download at paradisedividemusic.com.